The best way to join us is to come to a meeting. You can download an application form here and bring the completed form and payment to the meeting. If you prefer, you can post the completed form with a cheque to the Treasurer, whose address is on the form. 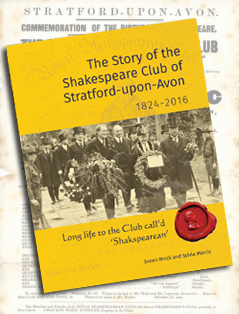 and make a BACS payment direct to the bank account of the Shakespeare Club. Meetings start at 7.45pm (doors open 7.15) and are usually held on the second Tuesday of the month, between October and May. Parking is available at the rear of the building with access from Chestnut Walk. join our mailing list and press send. You don’t have to be a member!